Soft skills improvement is perceived as something intangible and doesn’t demonstrate increased results immediately. It can be labor intensive to observe each employee who is trained for different skills. To measure these skills correctly, it takes an unbiased professional to evaluate the behavioral changes. To develop effective measures of soft skills training, it is important to understand some of the drivers for implementing these programs in the first place. Many organizations implement soft skills programs to drive the professional development and growth of their employees. Organizations may identify key values and/or competencies and then build a training program to instill the values within their participants. 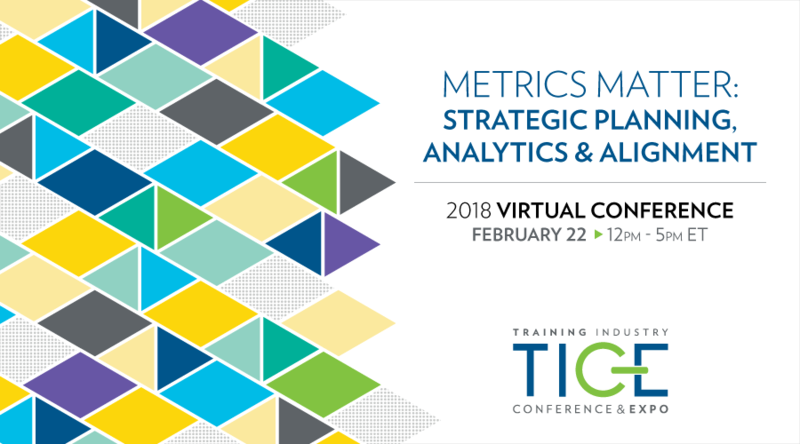 In this session, we’ll discuss developing a plan for ROI to effectively measure the program and deliver quantifiable metrics to the organization. Join us for this complimentary TICE Virtual Conference session. Your host, Julie Kirsch, director of program development at CohnReznick, will explore the challenges of measuring soft skills training, discuss how soft skills impact the business performance and strategies, and the various approaches that can be used to measure the program(s). Julie leads the enterprise learning and program management function at CohnReznick, LLC focusing on business strategy based learning, talent identification and development, differentiating performance from potential, and change management. Partnering with firm leadership and operational executives in strategic design, development, and execution of experiences for retention, culture and high-potential programs, management and leadership development (leadership development program and partner academy), and performance management.